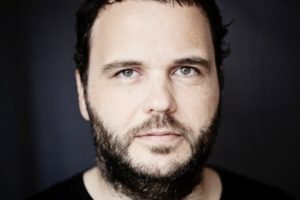 Ian Pooley, alongside other nu school German artists such as Mousse T., Boris Dlugosch and partner in crime, DJ Tonka, has been swapping the traditional hard trance/techno sounds typical of some German clubs for the funky and sublime sounds imported from America, to great effect. Pooley has been bridging the gap between techno and house, creating tracks such as the massive ‘Celtic Cross’ and ‘Chord Memory’ on the Force Inc. Music Works, as well as recording more housier and disco orientated workouts for labels such as John Acquaviva‘s Definitive Recordings, Effective Records and NRK Sound Division. Ian has also remixed for Daft Punk, The Cardigans, The Beloved, Green Velvet, Modjo, Nick Holder and many more. By refusing to pigeonhole his sound, Pooley records have graced the record boxes of DJs as diverse as Dave Clarke, Justin Robertson, Dave Angel, Judge Jules and Terry Farley. Recently, Ian recorded two albums for V2 Records, Inc.; “Meridian” was a classic Pooley album, choc full of tech-house and including the “What’s Your Number” as remixed by Jazzanova and Bob Sinclar. Ian released his second LP for V2 in 2000; ‘Since Then’ saw Ian move in a more housier, latin direction and spawned the hit single ‘900 Degrees’.